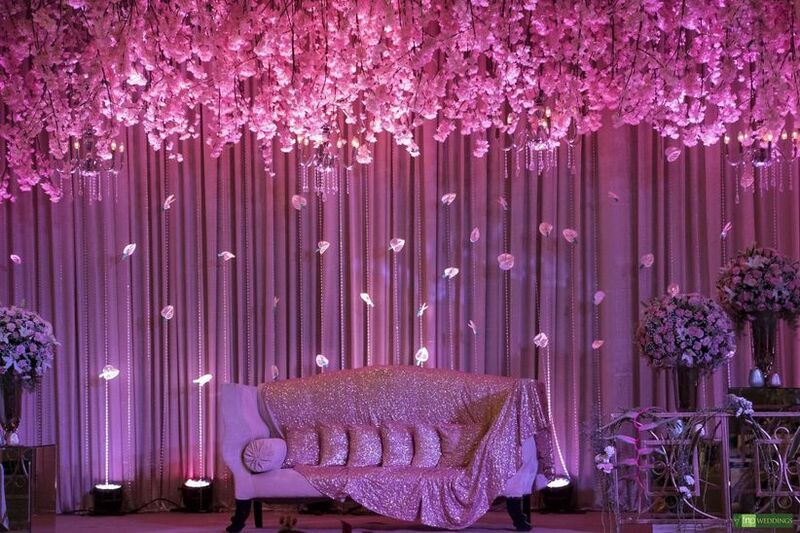 7 Pink Colour Combination Photos for Wedding Decor That Are Picaresque, Dreamy and Totally Eye Catchy | Wedding Tips ARE YOU A VENDOR? Always wanted a pink colour combination wedding? Look at these photos and design your own wedding and related ceremonies using a pink colour theme. Look no more and start bookmarking these images for some quick inspiration now! 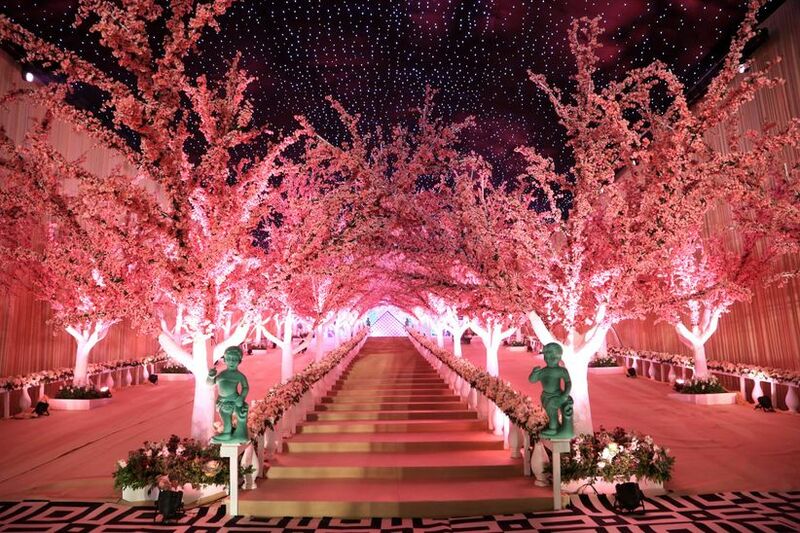 A pink colour combination inspired wedding decor is perhaps the closest thing we have to magic. Weddings are a joyous affair and every couple love story is special in their own right. 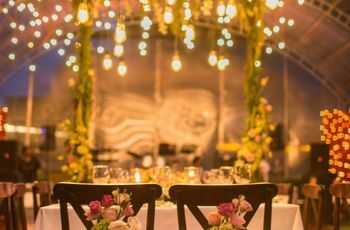 To keep up with the essence of their love story and romance, their wedding decor must be everything close to perfect to make their wedding the best one there is. From a dark pink colour combination palette to a light pink colour combination, there are endless possibilities, each being better than the other. Feel the magic of the colour pink and of your love by opting for a pink colour combination to design, curate and execute your wedding decor like a dream! Read on and bookmark the pink colour combination photo that you love most. There is nothing that this decoration lacks. It is exquisite, on point and absolutely awe-worthy in every sense of the word. With that being said, too much pink might also become too much for your eyes. So, the idea is to minimise the use of pink colour combination is just one tone. Rather, mix and match your decor options with infusing a few complementary colours that jibe well with pink. A few golden chandeliers and some diffused white light and you will have the wedding you always wanted to have. A floral dream come true for a couple who always dreamed of having a larger than life wedding for themselves and their wedding guests. 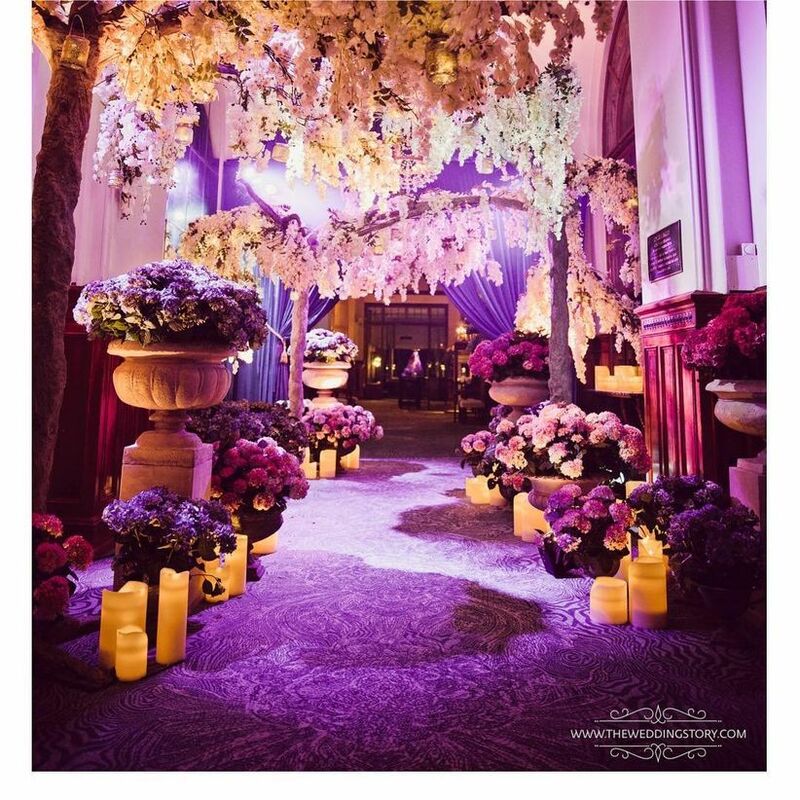 Welcome your wedding guests with a floral gateway to your venue by adding these beautiful and exotic flowers to make their way into your venue a ride full of aroma and fragrance. 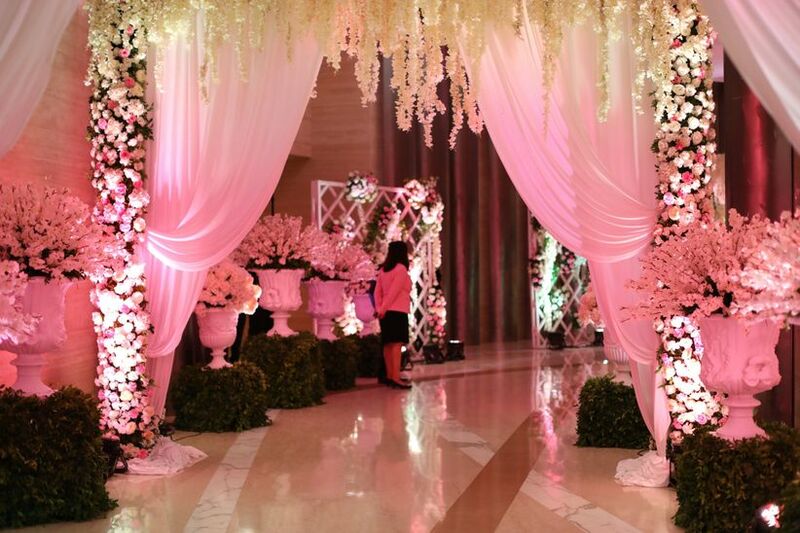 All you need to add to make it look even more spectacular are some diffusion lights in colour pink. Golden Rose Decor and Events Pvt. Ltd. Romance! Romance is what comes to our mind when we look at this photograph. From the cushion covers to the background drapes, every element in this photograph is in the hue of pink. All you need to recreate this spectacular setting us to hang drapes in the background of your wedding stage. 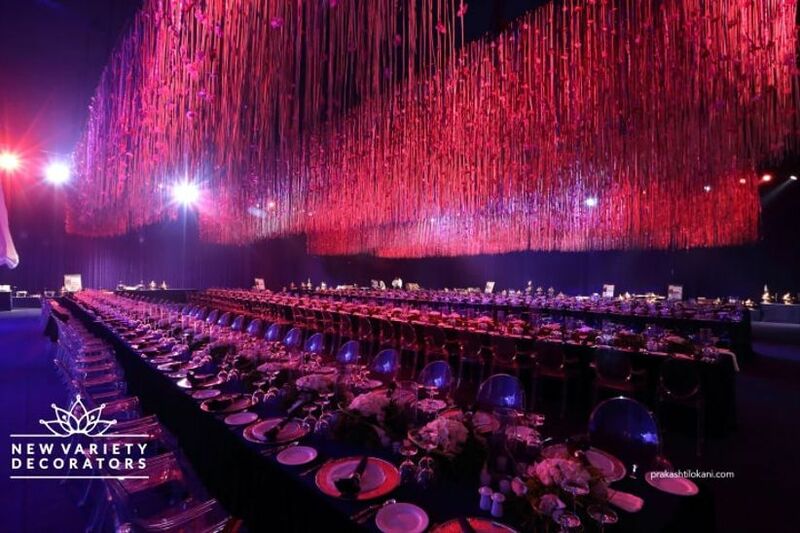 Add strings of pink pearls with origami artwork and suspend them from the ceiling Last but not the least, suspend pink flowers and make it look like a canopy of flowers. You can always choose fresh flowers over artificial but it is entirely as per your own desires. 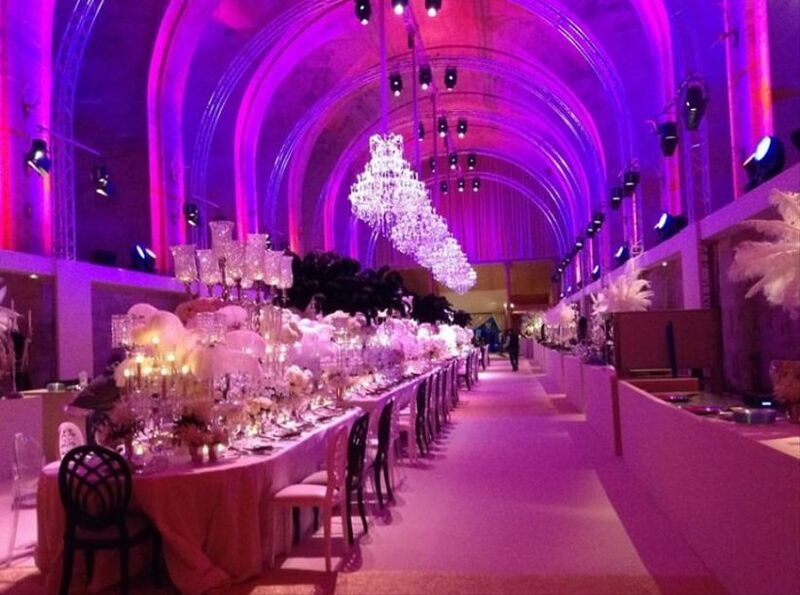 From the carpet to the furniture to the draping of this venue, everything is in a shade of pink. Legit a paradise for a girl who loves all things pink. Barbie feels just got real guys! 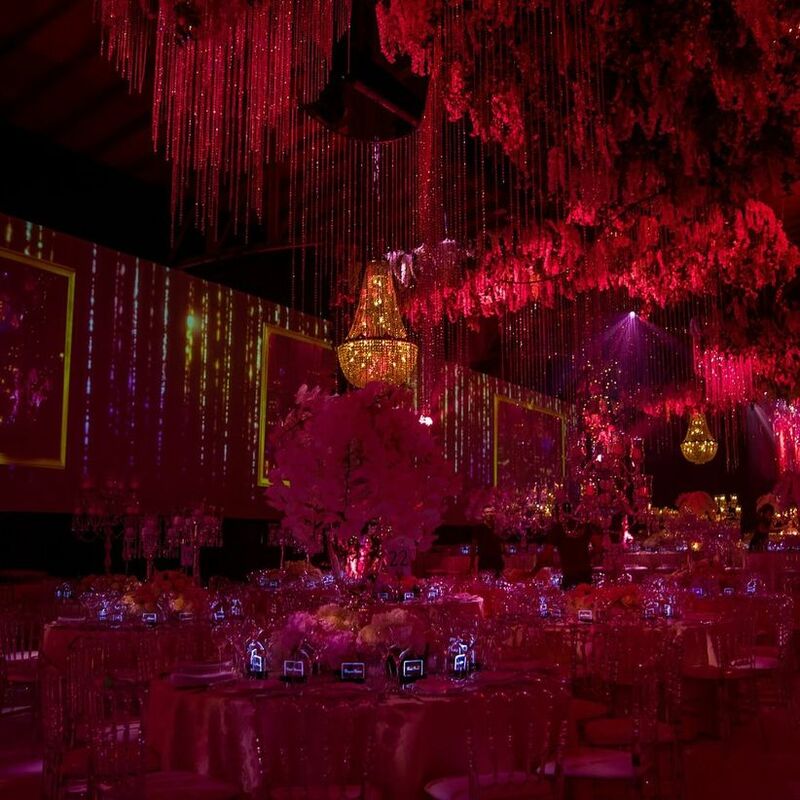 If you want any of your wedding functions to look anything like this then hit the store with your wedding planner and find everything pink from a pin to the marriage Pandal. Retro magic unravelled right with this bespoke feather inspired pink colour decor. 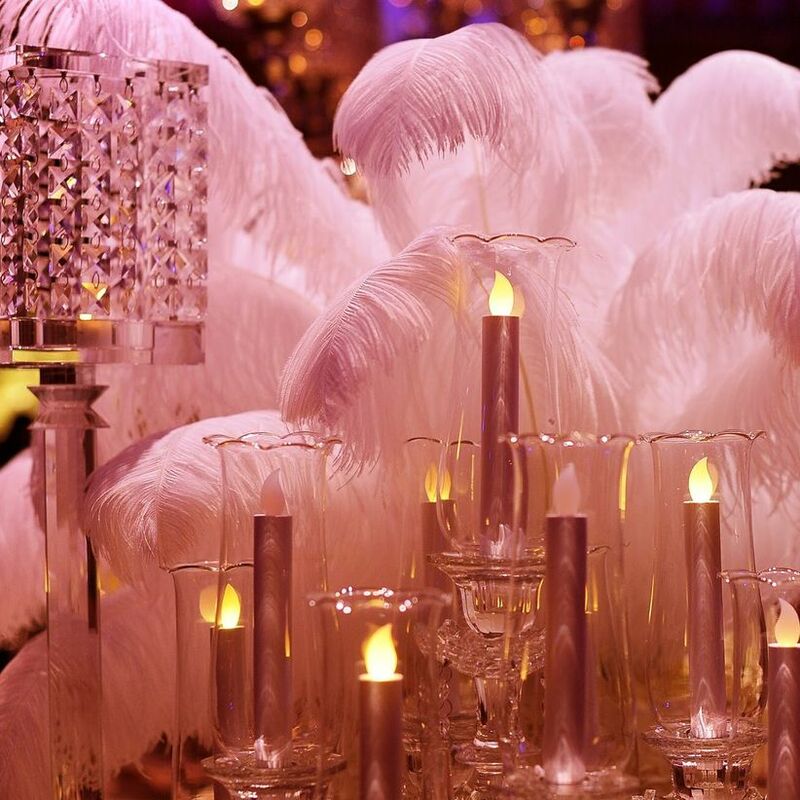 Very easy to re-create, all you need are a few artificial candles, preferable in pink or white and some ornate pink oversized feathers. Look for a crystal candle container, that looks like a chandelier but is placed on the table instead. 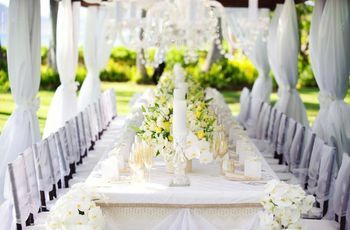 Place everything perfectly and you will have a wedding decor like never seen before. Who knew trees could look so pretty and pink? But, turns out it is all possible. For millennial couples who leave no stones unturned to create a statement by elevating never seen before wedding Pandals, this photograph is definitely for them. 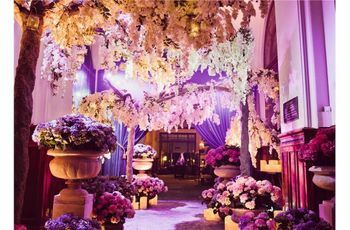 If you wish to wow your guests then elevating a wedding entrance such as this is the first step towards building that larger than life looking wedding setup. If it is a fairytale wedding you wanted, then a fairytale wedding you should have! And, one way to get that is by using something like this as your decor inspiration. 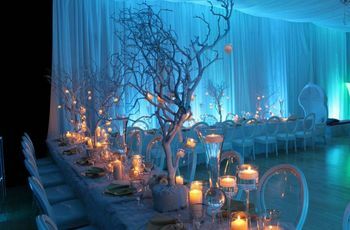 Call your wedding planner and wedding decorator right away and post this photograph ob your mood board now! We hope these 7 pink colour combination photographs edged you enough to start working towards having the wedding of your dreams. If you want to look at a few of our other colour combination for weddings, then what are you waiting for? Which one of these pink colour combination photographs would you like to use to design your own function? Tell us through the comments!